The Africa University community on Friday the 2nd of November held a community building and integration event under the theme, “Back to the Roots, 80’s Style”. Students from across the institutions’ on and off campus communities showcased the corporate social responsibility initiatives that they embarked on as hotels as well as the values, spirit and team work that they engaged in to uplift and involve each other in a sense of community and family. Gracing the occasion were the Deputy Vice Chancellor Professor Peter Mageto, the Dean of Students Mr. George Miti, the Warden and key organizer of the event Mrs. Virginia Benga as well as many other members of staff who came in their numbers to show their support and fellowship with the students. CSR activities of note included clean up campaigns the were conducted throughout the community of Mutare, visits and donations made to orphanages such as Fairfield Children’s Home at Old Mutare Mission and Mutare General Hospital, but most outstanding were the acts of kindness and love shown to fellow students in need of psychosocial support within the university community ensuring student success and well- being. 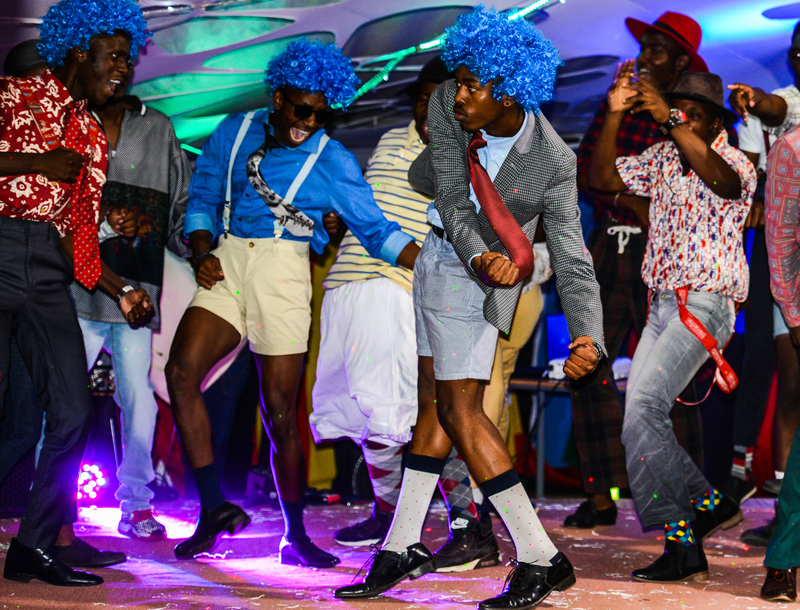 Students and staff dressed in colourful retro clothing from the era creating a relaxed and enjoyable atmosphere that facilitated the interaction and socialization of the entire campus. Traditional Zimbabwean music and international hits from the 80’s charts dominated the playlist for the evening with one of the most memorable being a performance that recreated the classic Thriller by Michal Jackson from the gentlemen of the L- Block hall of residence that won the best performance of the night. Prizes up for grabs included an excursion to Nyanga, branded Africa University merchandise and dinner vouchers. Undoubtedly, the spirit of Ubuntu and togetherness was present with the event serving as the perfect way to round up another exciting and lively semester. Africa University has 11 halls of residence on campus for male and female students accommodating 954 with four off- campus residences in the City of Mutare . These residences are headed by sub wardens selected from the student body who undergo rigorous intensive training to prepare them for the role of stewardship over their fellow students and as agents of integration and unity amongst the diverse groups they represent.